In the past four years of the new Indian government (2014–2018), there has been a plethora of changes in the skills system in India. There is a new Ministry of Skill Development and Entrepreneurship (MSDE); a new campaign to “Skill India” has re-established the goal to train over 400 million people by 2022; a new National Skill Development Mission with its brand “Skill India” has been set up; and a host of new acronyms covering apprenticeship, qualifications, quality assurance, labor market data, and national and overseas skills has been launched. Most of these are explained in the new document, National Policy for Skill Development and Entrepreneurship, of 2015. 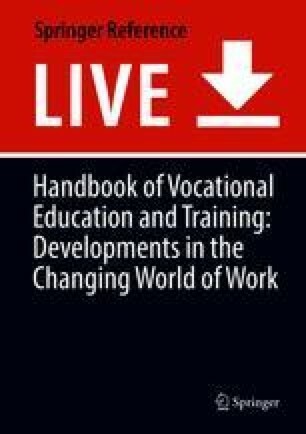 The chapter analyses the new skills environment in India and asks whether it has been able to begin to address many of the very long-standing characteristics of skills in India. Despite the renewed ambition of India to skill a mass of its own people and to provide the surplus of these young skilled people to the aging developed nations of the world, there is little evidence in the new mission that the crucial lessons and experiences from the last government’s skills mission and skills development initiative have been taken on board. The question remains whether the modification of skill development in India consists of renaming many of the approaches to the endemic features of skill in India or whether it constitutes a determination to break with the past.